Fact: Motorcycles are faster, more agile, better looking, and are cheaper to own and maintain than cars. True or false? This myth of ‘cheap’ transportation has been circulated again and again, by future riders when trying to convince someone (or themselves) that buying a motorcycle is the only logical financial choice. Unfortunately, motorcycles may not be as cheap as originally thought. So when it comes to the old question “Are motorcycles cheaper than cars?” The short answer is: Sometimes. For the subject of this article we’ll take a popular car, and a popular sport bike and compare the costs of owning them. For our car we’ve selected the Civic coup dx which is a small 2 door economy car that rings in at $14,810. It gets 30 mpg city, and 38 freeway and generates 140 HP out of its 1.8-liter,SOHC i-VTEC ® 4-cylinder engine. For the sports bike we’ve chosen the 600cc Honda f4i. The f4i is a really popular motorcycle that costs $8,499, gets around 100 HP, and gets decent fuel economy at 35 mpg city 45 freeway. Right off the bat we can see that the motorcycle is a little more than half the price of the car. So now you have your brand new car or motorcycle, one of the first things you’ll want to do (and if you are in some states, required BY LAW to do) is get some insurance. I used my own information to judge what the insurance would cost me, and for the record I’m a male in their early 20’s with a spotless driving record (not even a speeding ticket!). The insurer I chose for the sake of this article was Geico , but I’m sure if you shopped around you would find other places that would be more or less expensive depending on your situation. I think what I’ve found to be pretty accurate general rule when comparing cars and motorcycles. To insure a 2007 Honda Civic Coup DX it was $189.50 for the bare minimum coverage. When I typed in the same information and chose to insure the 2007 Honda f4i, my monthly payment jumped to $388.91 per month! That’s quite the increase! If we went off these numbers, by purchasing the car I would be saving $2,392.92 per year, and I would make up the price difference between the motorcycle and the car in just under 3 years. The insurance isn’t the only place where motorcycles are more expensive, maintenance is another area that will take a chunk out of your wallet. The typical car tire should last you between 35,000 and 50,000 miles depending on the tire and your driving habits. 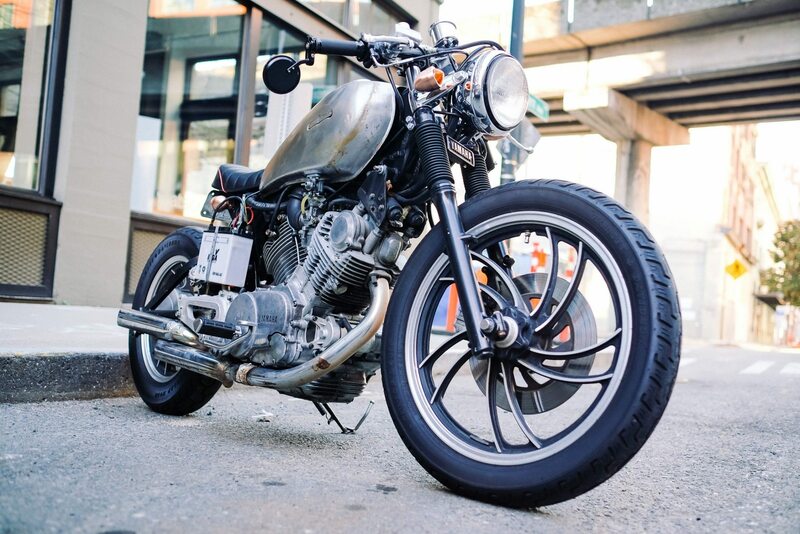 With motorcycle tires you will only get around 9-11k miles out of them before they need to be replaced, and that’s if you are just doing easy commuting. If you are taking your bike into the hills and grinding the pegs on every corner you may only get 6,000 miles out of them or less depending on the brand of tire. That means you will be buying new tires 3-5 times more often than you would if you were driving a car!!! It’s really starting to add up now! With a car you are protected in a nice comfy steel and leather cage, and you have all sorts of safety features like airbags and crumple zones that will protect you in an accident. These things all come standard on modern cars, but there is nothing like that that comes standard for a motorcycle. 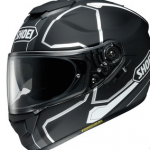 If you want to be protected on 2 wheels then you are going to need to buy riding gear like a full face helmet, leather gloves, riding pants, boots, and the all important (and cool looking) leather motorcycle jacket. These things do not come cheap though, and depending on how good you are at finding deals you will be spending between $500-2000. Now I know motorcycle gear isn’t REQUIRED, but I would definitely recommend it. Road-rash is like taking a belt sander to large patches of your skin, and once you get to the hospital they have to scrub out the wound with steel brushes (NOT JOKING) without any pain killers because it thins the blood. The $1,000 you spend on motorcycle gear will not only keep you away from the steel brushes, but it will also prevent you from paying gigantic medical bills. As you can see when you add up the numbers a motorcycle becomes just as expensive, if not MORE expensive than your basic economy car. One way to keep those costs down is to buy an inexpensive motorcycle like the Kawasaki Ninja 250. The ninja costs only $2,999 and it gets 30 mpg more than the Honda f4i! 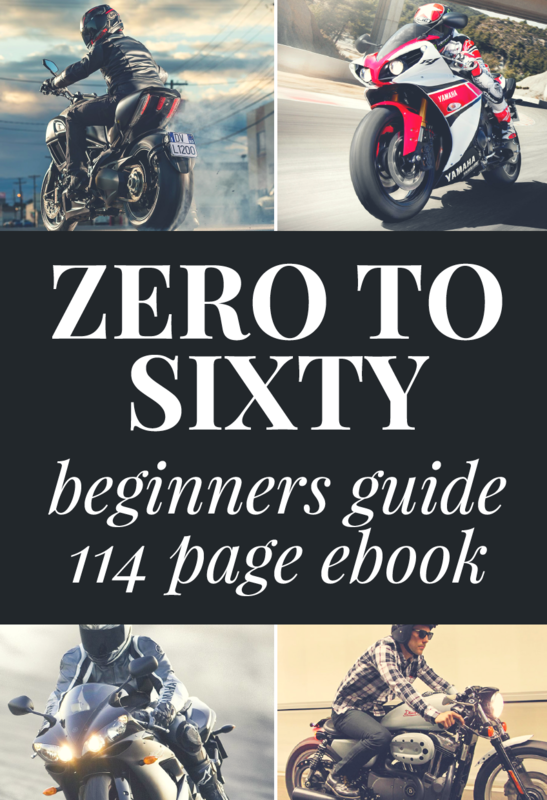 By purchasing a good beginner motorcycle you will also be building skills that will transfer well to larger displacement bikes and will prevent you from making stupid mistakes that will cost you money (like dropping the bike in the parking lot!). UPDATE 1: I’ve gotten a lot of comments about my insurance quotes and where I got the numbers. After some digging around in my inbox I found the e-mail geico sent me, it is as follows Your total premium for a 12 month policy will be $4667.00. So the thing that really killed me was the comprehensive and collision insurance (which I have found out is not required by california law). 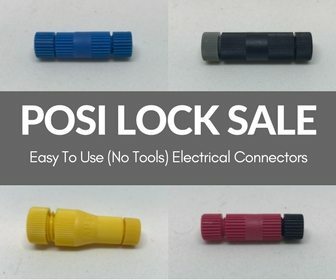 If you don’t have these options then it would lessen the cost quite a bit. Sometimes if you finance a motorcycle you are REQUIRED to carry comprehensive insurance, so keep that in mind when choosing your new motorcycle. The bottom line is that generally the higher the CC the motorcycle (and the newer it is), the more you are going to pay for insurance. I went back to my quote and I unselected EVERY option it would let me, and this is the quote that I received. I’m assuming it wouldn’t let you unselect something that california law requires you to have, but i’m not entirely positive. Your total premium for a 12 month policy will be $710.00. So if you unselect every possible option that the Geico form will let you, you will actually be paying LESS with the CBR than you would with the civic! That’s quite a shock! I don’t think I will be writing a “Motorcycles are definitely cheaper than cars” article anytime soon though, because in my opinion the frequent tire changes/oil changes/gear costs still make the motorcycle as expensive, if not slightly MORE expensive than an economy car. The numbers all boil down to what your personal situation is and what risks you are willing to take with your bike and your body. In addition to my personal experience I decided to dig a little deeper and see what other information I could find. Motorcycles are considerably cheaper when it comes to the cost of acquiring the actual machine. The primary cost is much cheaper in fact. Take our Best Starter Motorcycles list, this has the top motorcycles for beginners so the cream of the crop. The cheapest motorcycle on the list is under $5,000 and most expensive is just under $14,000. Let’s take it further and look at the high end. A quick look at the Harley-Davidson website found they top out around $40,000, same goes for Ducati bikes. Forget nice cars for a second because we clearly know that nice German saloon cars go for multiples of the top-end of the motorcycle range. A regular everyday car is going to cost you at least $25,000 and if you want something decent you are looking at closer to $35,000 at the entry level. Sorry cars, motorcycles win this round, much cheaper. The average motorcycle gets about 50 miles per gallon. That’s pretty amazing when you compare it to the average car which gets about gets 25 mpg. Clear winner here, motorcycles get better miles per gallon so like-for-like they are cheaper than cars. The safety equipment needed to drive a car are… non existent. You grab the keys, jump in and drive. Motorcycle riding is totally different. There are special classes to take so you’re looking at about $350 right there (depending on your state). You also need a good motorcycle helmet, glove, boots, jacket and more. Even if you take our advice and try to save money on your motorcycle gear, you are still behind versus a car. A good motorcycle helmet can cost more than $300 (and go way up from there). That’s just the start. Sorry, but motorcycles lose here, cars cost less when it comes to training and safety costs. Motorcycles tend to need more regular maintenance than cars do. The Motorcycle Industry Council (MIC) says maintenance spending averages about $150 year. Tires also need changing more often on motorcycles than cars. Motorcycle rubber is generally cheaper and so is servicing so that cancels out any benefit the car may have had with less service intervals and tire changes. We’re calling this one even. Is it cheaper to insure a car or a bike? Turns out our experience above is different for everybody. It depends on where you live and what your age is. We found a study by Insurance.com that compared a used Honda motorcycle and a Honda Civic. The motorcycle was $71 a year to insure while the car was $830 a year. The same study found that in California the bike would cost $209 to insure versus $768 for the Civic. This was just for liability coverage. Collision and Comprehensive follows the same pattern, basically motorcycles are cheaper than cars. But, what about medical coverage? It is very expensive coverage to buy on a motorcycle, at least $100/month just for that coverage. Some may argue you don’t need it, but the reality is that motorcycles are dangerous and everybody crashes at least once. That means you will have medical bills, which means you really need this insurance, which means it counts toward the totals. It looks like car insurance (as an entire package) is likely slightly less expensive when you consider medical too. Overall it is still clear that a car is more expensive than a motorcycle. Gear is expensive. Going to need a helmet, jacket, gloves and boots. These things aren’t nice to have, they are necessary if you don’t want to die. You’re looking at at least $1,000 for motorcycle gear even if you shop cheap. Replacement maintenance parts are need ALL THE TIME. Neglecting maintenance makes things worse so you shouldn’t avoid it. According to them you should be looking at $500/year right there. While a car usually needs new tires every 30-50 thousand miles, most sporting motorcycles will wear out their tires in around six thousand miles, with ten thousand miles as an extreme before the belts are showing. Name brand tires will normally cost you $300 or more installed, or roughly $.05 per mile. The drive-chain which connects the transmission to the rear wheel, lasts around 15 thousand miles. There’s $250. Changing the oil in a motorcycle is an every two thousand mile expense. Another $50 every time. The engine on your motorcycle will probably need to have its valves adjusted every 15 thousand miles or so. Hand over $300 please.